Ethiopia has had S-75 systems since the 1970s, some of which are still deployed at three fixed sites around Addis Ababa, its S-125 (SA-3 ‘Goa’) systems deployed closer to the Eritrean border to defend strategic locations. 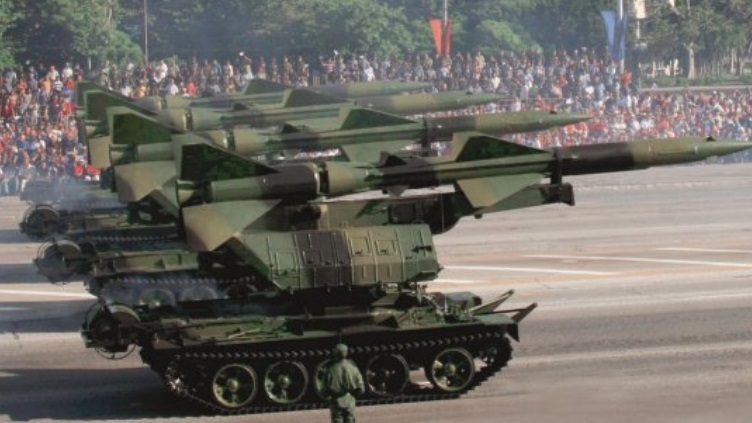 Self-propelled S-75 launchers would be far more mobile and quicker to deploy, especially in areas with poor roads, than the original launchers, which have to be loaded on and off dedicated trailers. The S-75 modification is the most sophisticated work known to have been carried out by the Ethiopian defence industry to date. The METEC website says Gefat was set up in 1989 and produces a range of basic infantry weapons: the ET/97-1 and Gafat 01 in 7.62×39 mm calibre (presumably AKM-derived assault rifles), an unidentified 7.62x54mm machine gun (probably a PKM copy), the 35 mm ET04/01 automatic grenade launcher (possibly a copy of the Chinese QLZ87), and the 82 mm ET05/01 mortar. The Homicho Ammunition Engineering Industry produces a range of ammunition for small arms, mortars, artillery, and tanks.